Pirates of the Dark Nebula is the second in my Hearts in orbit series, and will be releasing sometime next month from Soul Mate Publishing. It can’t fall into the wrong hands. Luna Callista holds the key to a galaxy changing new technology. Captured by a ruthless band of deep-space pirates, she’s rescued by a man filled with dark secrets of his own. Who is Rik Mazar? Galactic protector or rogue pirate? After three years undercover among the Brotherhood of the Dark Nebula, Rik Mazar isn’t sure what side of the law he’s walking. In a world of murder and betrayal, his life goes on the line every day. But, protecting Luna Callista means putting his heart in as much danger as his hide. A rusting service droid, a Ferang fortuneteller, and a ship full of back-water refugees are their only allies, as two hearts go into orbit to save a galaxy in peril. 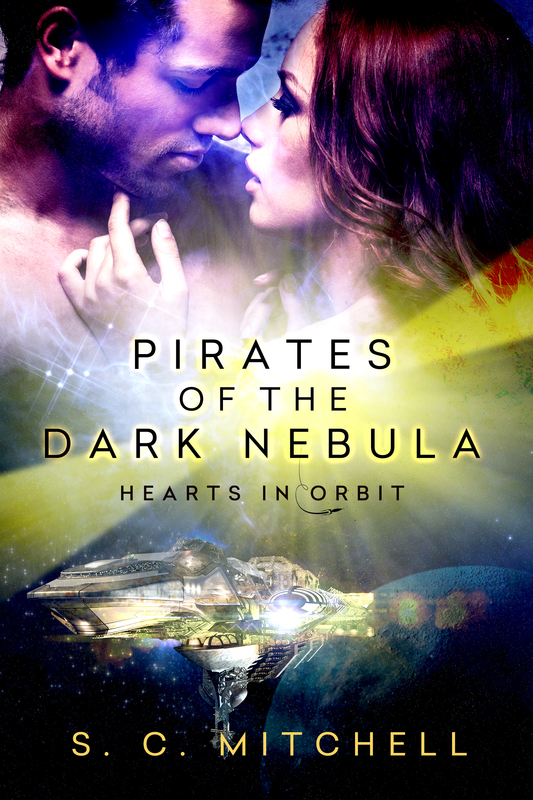 Hearts in Orbit: Volume 2 – Pirates of the Dark Nebula is a science fiction romance set in the far-flung space traveling future, continuing the series’ course across a galaxy filled with love and adventure. This entry was posted in Uncategorized and tagged Pirates of the Dark Nebula, S. C. Mitchell, Soul Mate Publishing by scmitchell. Bookmark the permalink.